“Pallavi is surviving on medication, and she has just lived 2 months of her life. Her stomach bloats because of excessive blood flow to her lungs. The baby experiences constant fatigue. She almost faints after a giggle. 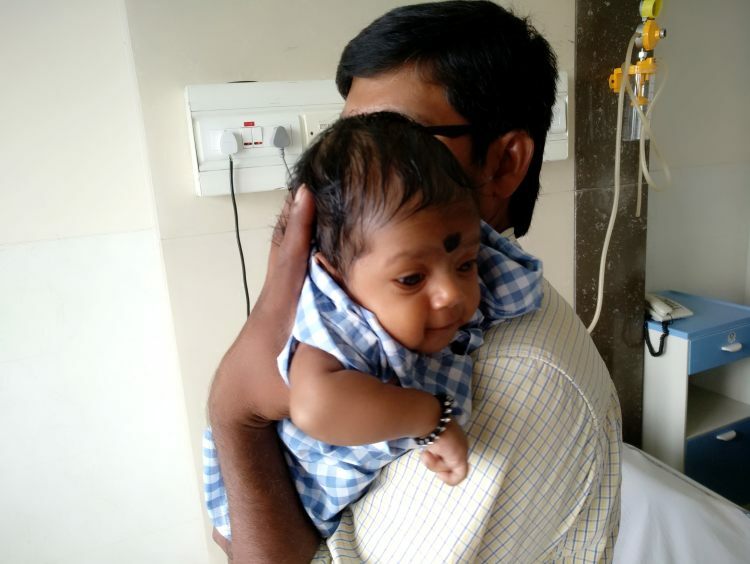 It breaks our heart to imagine what the little girl is going through with 2 holes in her heart.” Saidul Reddy, Pallavi’s father. Having gone through a C-section, the family was worried about the health of the baby and the mother-Radhika. Fortunately, both of them were in fine health. 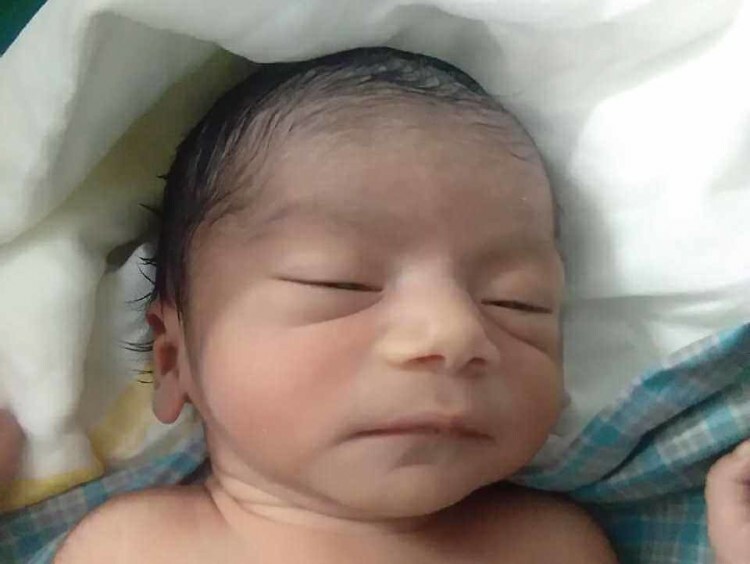 Just as Saidul heaved a sigh of relief, a routine checkup came with news that would put the baby’s life in jeopardy. All this, only 15 days after her birth. The 2-week-old baby had 2 holes in her heart. She was diagnosed with Ventricular Septal Defect (VSD) and large Atrial Septal Defect (ASD), causing severe arterial pulmonary hypertension. A hole between the bottom chambers of the heart, and a hole between the top chambers of the heart. In case of pulmonary hypertension, the heart works extra hard to ensure there is proper blood flow through arteries into the lungs. 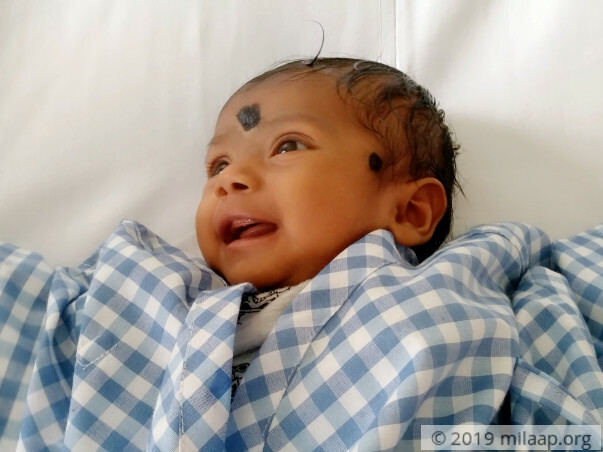 This can lead to drastic enlargement and weakening of heart muscles and result in a reduced supply of oxygen in the body, meaning that 2-month-old Pallavi’s life is at risk, every minute of her life. When news of Pallavi’s fatal heart ailment reached her mother, she broke down and became inconsolably weak, and was on the verge of fainting. This only adds to acute stress problems that so often impair the normalcy of her life. Saidul drives an auto and works during nights, delivering milk from dairies to various points in the city. He earns barely enough to manage expenses and can in no way afford to pay for his daughter’s treatment. “Despite all our financial struggle, we believed that the little girl’s smiles would wish away all our woes. But, now, the little girl is battling death. 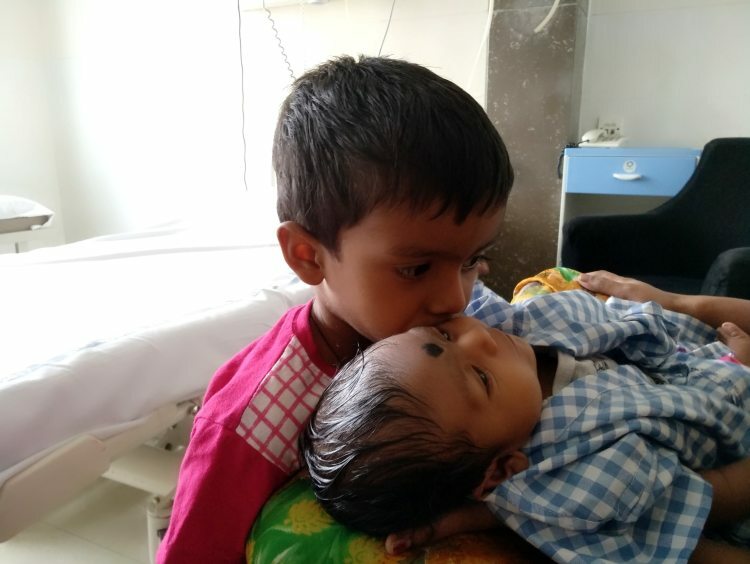 Her brother, Sai Charan, constantly asks us why his sister’s stomach bloats and why she has to visit the hospital frequently. We can’t imagine losing her because we can’t afford to pay for her treatment.” says Saidul, wondering if he’ll ever see his children play together. The family is on the verge of losing the 2-month-old baby to a fatal heart disorder. For her to have any chance of living a long, healthy life, a surgery is necessary for closure of these holes. Saidul, with the little that he earns, cannot afford 4 lakhs required for the treatment. It is with a heavy heart that we inform you that baby Pallavi has passed away. She had a surgery scheduled in a couple of days when she suddenly went into critical condition. We rushed her to the hospital and she passed away in the emergency room. All the funds raised were used towards her medical expenses. Even though her time in this world was short, we are grateful to you for extending kindness towards her. Please pray for her soul to rest in peace. Pallavi is now at home and has been prescribed medicines. She shall continue to be on medication until advised otherwise, by the doctors. 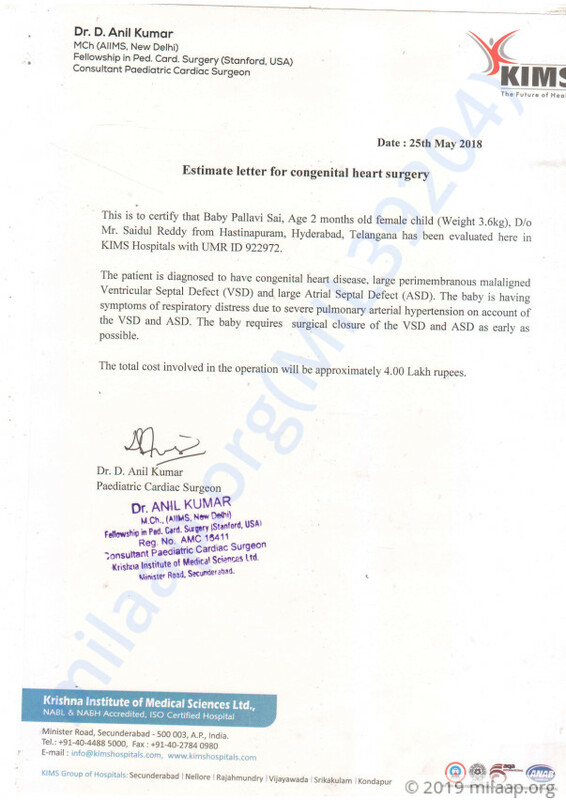 The date of the surgery is yet to be finalised. Once Doctors finalise on a date we will keep you posted. Thank you everyone for being so supportive. Please keep praying.